More than two dozen interns who recently completed their work programme with Grantley Adams International Airport Inc say their summer jobs with the airport has done much to prepare them for the world of work. The 26 students were selected from the Barbados Community College, University of the West Indies, the Samuel Jackman Prescod Polytechnic, the Barbados Vocational Training Board and the Barbados Youth Service. During the 12 week attachment, the interns were attached to the Operations, Engineering, Human Resources and Finance departments as well as the Office of the CEO. 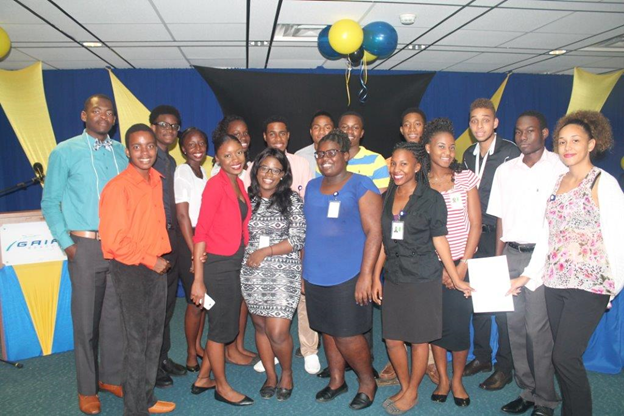 A closing ceremony was held last Friday to bring the curtain down on the 11th annual Internship programme at GAIA Inc.
Human Resources Director, Sondra Willett-Elcock in her remarks to the audience, highlighted the students’ strong work ethic and enthusiasm to learn. She impressed upon them the need to put into practice what they learnt while at GAIA Inc.
Ms. Willett-Elcock said GAIA Inc is pleased with the continuous positive outcomes of the internship programme and is committed to maintaining the relationship with the tertiary institutions. PIX: GAIA Inc 2016 interns following the closing ceremony of their programme.